I was recently playing in my Minecraft Realm with my friends and I needed the coordinates of my position for a command-block creation we were making. I brought up the debug screen, but it had no coordinates. As you can see, my coordinates are not shown, only my chunk-relative position. I was eventually able to get my coordinates by using /execute rappatic (rappatic is my username) and hitting TAB thrice, which showed my current position, but there must be an easier way to do it. Why are my coordinates not shown on my debug screen? The server has the gamerule reducedDebugInfo true set. This is a setting to give less gameplay-related information in the debug screen. It hides your coordinates, your block coordinates, your facing direction, the biome you're in, the light levels, the local difficulty and the coordinates of the block you're looking at, as well as the lines of F3+B (hitboxes) and F3+G (chunk grid). The reason it's set on some servers is to prevent players from using the debug screen in their regular Survival play, because it's originally intended only for debug purposes and some people consider it cheating to use it in Survival. 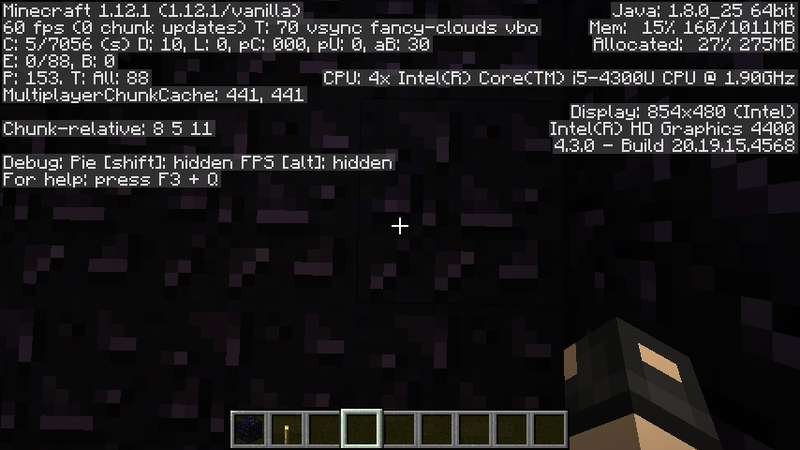 There usually is no reason to set it on a Creative server with access to commands. If the server owner allows it, you can change it with /gamerule reducedDebugInfo false. According to a Reddit thread, you can solve this through Options>Multiplayer Settings>Reduced Debug Info: Off. Not the answer you're looking for? Browse other questions tagged minecraft minecraft-realms or ask your own question. What's wrong with this command block code? What's wrong with my give command? What's wrong with this Minecraft /give command? What's wrong with my mob farm? What's wrong with my command?